National Directors serve in a voluntary capacity. The role of director is both strategic and operational. 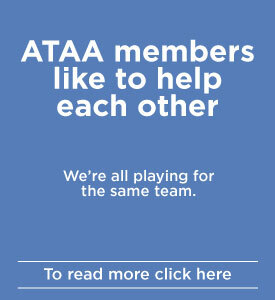 If you are interested in serving as a National Director, or in a supporting role, please contact the ATAA National President. Peter Aubourg is a full-time trader. He began trading in 2007 after a 30 year engineering career in design and development of automated machinery and robotics. Peter created a design process called systematic innovation, which he applied to the design of systems and machinery. He now applies the same process to design of trading systems. The creation of trading systems is treated as a research and development process, applied from an engineering/scientific perspective. Romy holds a Master of Business Administration degree and has had a career at the senior executive level of the health industry with a strong record of accomplishment in a range of health-related roles in the private and public sectors. She is experienced in managing major building redevelopments, financial and corporate reorganisation, quality and organisational culture. She has a special interest in business compliance and is an experienced auditor with the Australian Business Excellence Foundation and the International Organisation for Standardisation (ISO). Romy is a full-time forex trader. Robert is a part-time trader, consultant and educator. Having gained a degree in Mechanical Engineering, Robert spent many years working in professional IT roles including hands-on technical support roles, network management, and IT operations management. Robert has followed the share market for many years, with two key events provoking much more interest — misguided advice from a financial adviser in 1986, and the tech stock crash of 2000. Robert is a full time trader, trading systems developer and systems consultant. He is a Director and Investment Manager at Crystal Blue (Aust) Pty Ltd where he manages family based investment funds. He is also a Director of consulting firm CQL Pty Ltd; current consulting is now limited to the design, construction and optimisation of algorithmic trading systems. Prior to retirement, Alek worked for a Fortune 500 International Corporation as Group General Manager with responsibility for several businesses in the Pacific region and Asia. Originally trained as an Electrical Engineer, he also achieved post-graduate degrees in Industrial Engineering (Operations Research) and Management. His career has included senior executive roles with several international businesses. Warren has over 25 years experience as a small business owner and founder in different fields. In addition to serving as a company director for over 15 years. He has extensive experience working with MYOB & Microsoft Office products. Warren has also developed and administered WHS and QA systems. His trading career began in 2001 starting his own SMSF and buying Australian Stocks. He has extensive trading experience including discretionary and systems trading using many trading platforms. Warren has presented regularly at ATAA meetings and provided tutoring to other traders. He is passionate about Technical Analysis, networking with and assisting fellow traders. Ray Weatherby B.Sc., Ph.D., C.Eng. Ray's qualifications are in control engineering. His career encompassed systems development for manufacturing and high tech R&D companies, followed by IT management for major oil companies, consulting partner with big four consulting firm and various major IT companies. Recently he was project director for a major Australian bank's global markets risk management systems. He has lived and worked across the globe. Ray's interests now are developing his own trading systems based on quantitative methods. 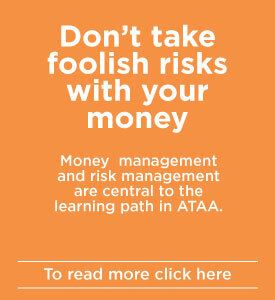 He is keen to make ATAA successful to support traders and financial professionals.